The museum is open again as of September, 2018. 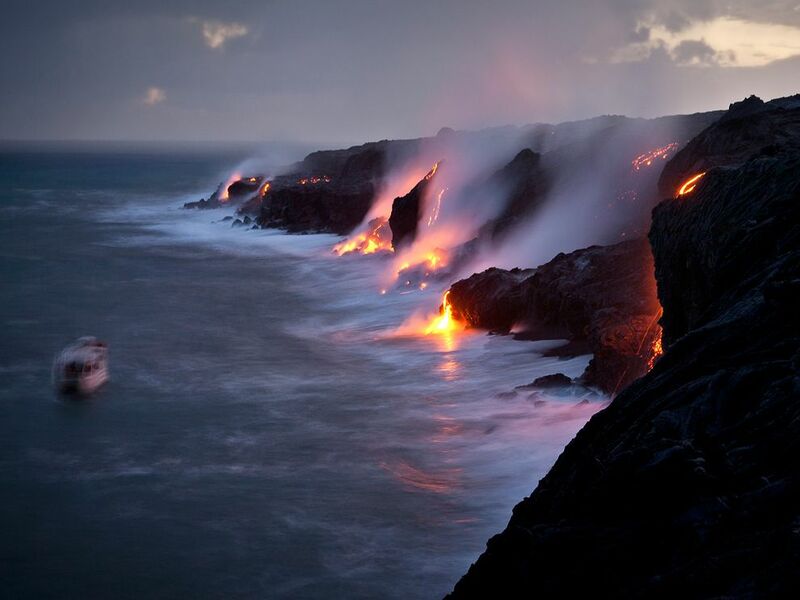 This National Park is home to Kilauea, Hawaii’s most active volcanoe located on the Big island. Alth0ugh the volcano isn’t active as the pool of lava has drained out, the visitor center is now open for exhibits. Sulfer trail is open and the steam vents are still seeping out steam. 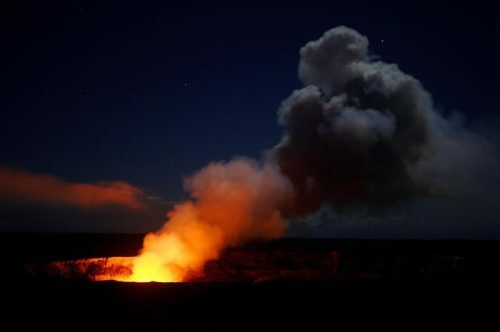 Mauna Loa last erupted in 1984 and Kilauea has been continuously erupting since 1983. Upon entering the park, visit the Kīlauea Visitor Center for more information about current volcano activity to plan your day accordingly. The park also contains the Jaggar Museum which is still closed and will likely always be closed. The National Park features many activities, and you can easily spend your whole day here. 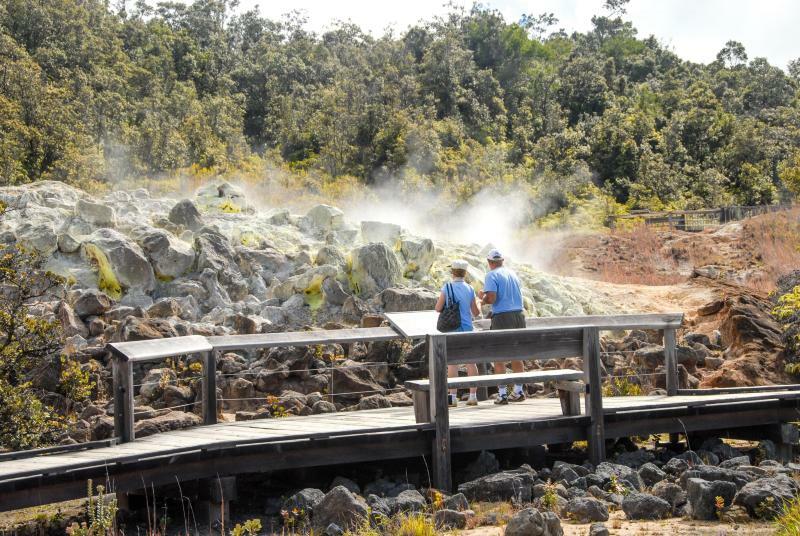 For example the park features many easy day hikes like the Ha’akulamanu (Sulphur Banks) Trail, an easy 1.2 mile round trip hike, and the Earthquake Hike (a great viewing point of Kilauea! ), and easy 1 mile round trip hike that is wheel chair and stroller accessible. Many more day hikes can be found around the park like the Halema‘uma‘u Trail, the ‘Iliahi (Sandalwood) Trail, the Kīlauea Iki Trail, the Devastation Trail, the Kīpukapuaulu, the Crater Rim Trail, and the Keanakākoʻi, all information regarding these hikes can be found on their website. Get updates on what parts of the park are still open. I don’t recommend spending more than a couple hours there. If lava returns to the caldera, that might change. Remember that conditions of the park are constantly changing, so it is wise to ask a park ranger about current air conditions and for more information about the park’s safety. If you are planning on hiking please wear suitable shoes and pants (lava rocks are sharp, and falling on them is like falling on broken glass! ), and remember to drink lots of water. 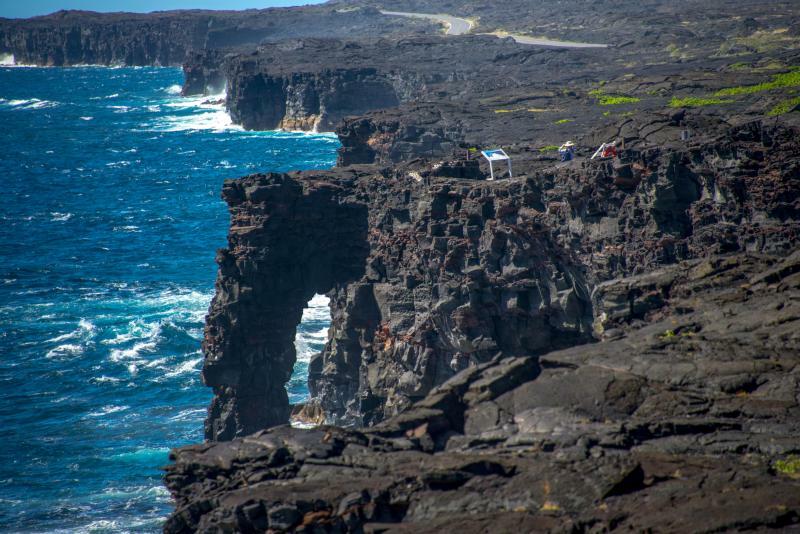 There is so much more that the Hawaii National Park has to offer. For more information about hiking, lodging, camping, or other attractions located in the park please feel free to use their website to discover more about this incredible Hawaiian destination. 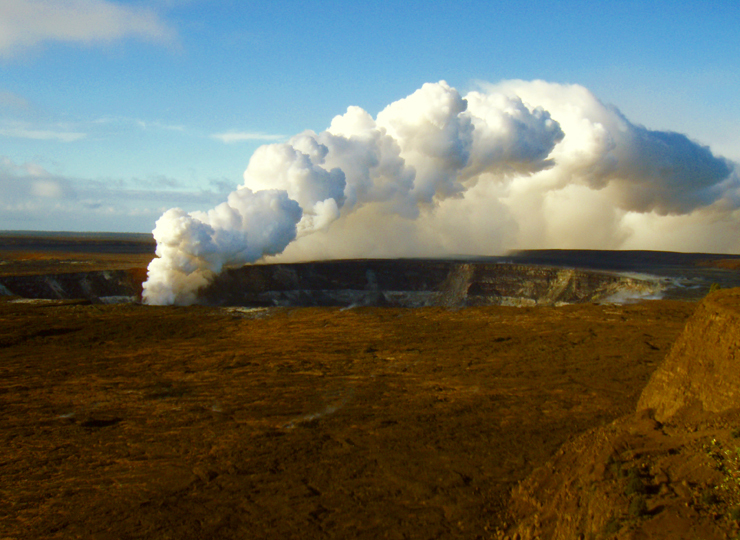 Hawaiʻi Volcanoes National Park is open 24 hours a day year-round, including ALL holidays. Kīlauea Visitor Center is open daily from 9:00 a.m. to 5:00 p.m.
lava flowing from Kilauea seven miles into the ocean.